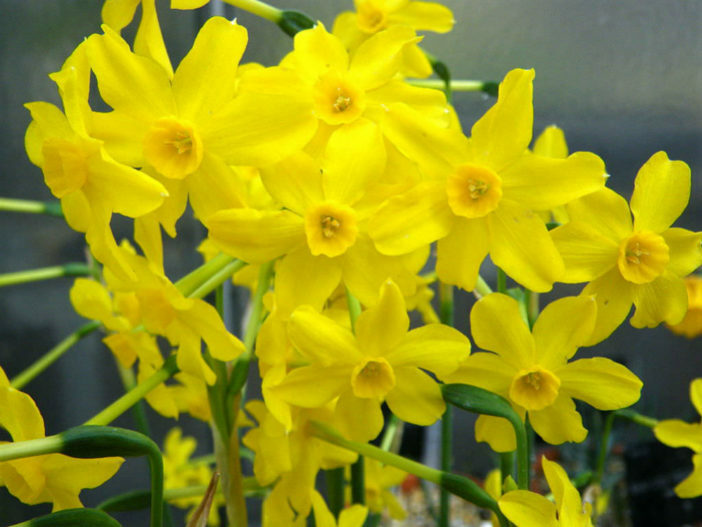 Narcissus jonquilla is a bulbous perennial plant. 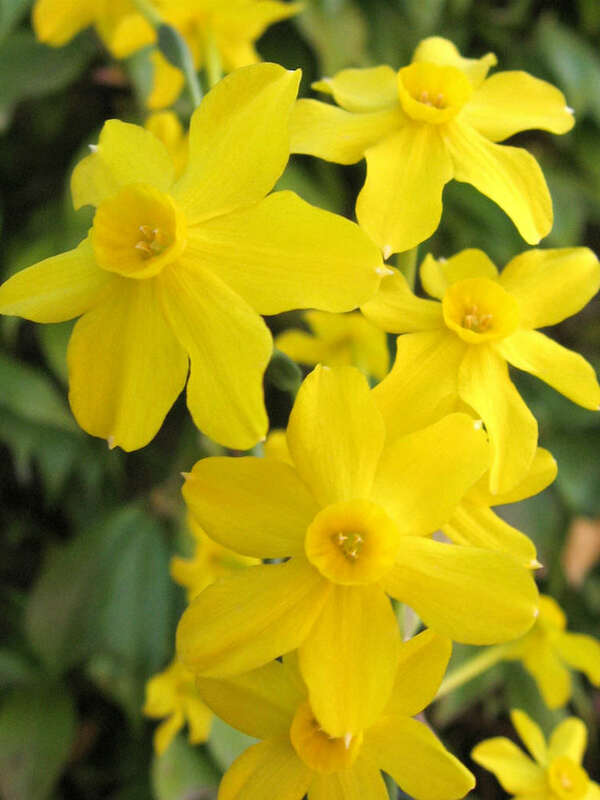 It grows up to 12 inches (30 cm) tall and features 1-5 usually fragrant flowers per stem, each flower having spreading perianth segments (petals) and a small corona (cup). 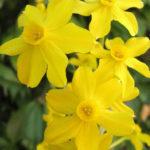 Flower color is golden yellow. 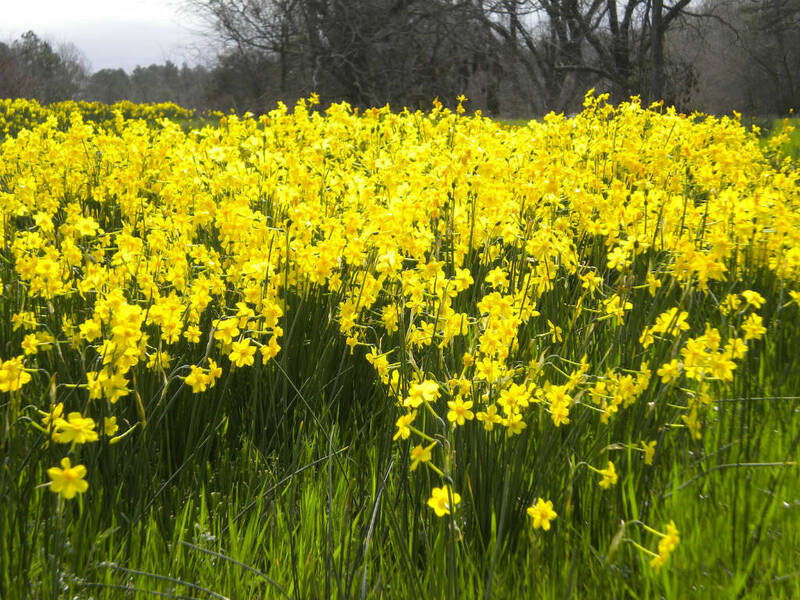 It is a late-flowering species and blooms in late spring. Narrow, rush-like, dark green leaves appear in upright clumps of 2-4. 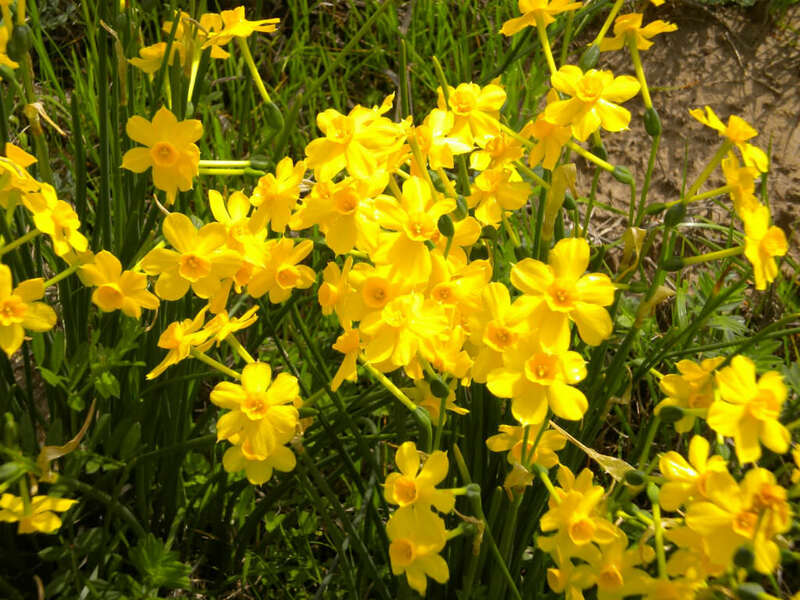 Bulbs can be planted in regular potting soil or in pebbles or clay. 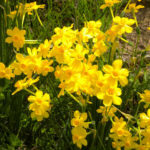 The key is to keep the balance of moisture right: they should have constant moisture, but never be soaked… – See more at: How to Grow and Care for Narcissus. 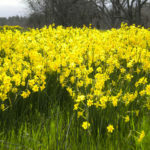 Native to Spain and Portugal, but has now become naturalized in many other regions.